Stump the Priest: Does God Have Faith? Question: In Mark 11:22, my bible has a number next to the phrase "Have faith in God", the number indicates this phrase can be read "Have the faith of God". Years ago I heard Charismatic Bible teachers change this into, "Have the God kind of faith". They were teaching that we, the believers, were to not just have faith in God to move mountains, but we were to speak to the mountains in our lives if we wanted them to be removed. How would you respond to that? Does God have faith? Does God exercise faith? Mark 11:22 does have unusual phrasing in it. No where else in the New Testament does πίστιν Θεοῦ appear with Θεοῦ (God) as the objective genitive (Craig E. Evans Mark 8:27- 16:20, Word Biblical Commentary vol. 34b (Nashville, TN: Thomas Nelson, 2001), 186). However, though the King James Version does have a margin notes that says that this could be translated as "Have the faith of God," it is clear from the context in this passage as well as the rest of Scripture that God is the object of faith that this command has in view. A truly literal translation of this command would not be "Have the faith of God," but rather "Have faith of God," but what this really means in English is that we are to have faith in God. Often, in the New Testament, you have what are called "Hebraisms," which are phrases that are influenced by Hebrew grammar or Hebrew idioms, and Mark 11:22 is an example. We notice that foreigners speaking English often speak in ways influenced by the grammar of their native language. For example, Russians often drop "the" from a sentence because there is no definite article in Russian. And so you might have a Russian say "Give me keys", when a native English speaker would have said "Give me the keys." There are many examples of the genitive case being used in a similar way to what we find in Mark 11:22, elsewhere in the Greek New Testament. The other passage that "Word of Faith" preachers have used to argue that God has and exercises faith is Hebrews 11:3: "Through faith we understand that the worlds were framed by the word of God, so that things which are seen were not made of things which do appear." They twist the meaning of these words to suggest that God framed the universe "through faith", but the obvious meaning of this passage, is that it is through faith that we understand how God framed universe, and that he framed the universe by His word (ῥήματι Θεοῦ). St. Paul tells us, that "faith is the substance of things hoped for, the evidence of things not seen" (Hebrews 11:1). In other words, we believe in things that we cannot see, and hope for things based on what we have been assured of. For God there is nothing that He cannot see, and nothing for Him to hope for that he does know for fact to be a reality. And So God is the object of Faith, but He does not need Faith, because He is not trusting in the word of anyone else with regard to anything that he otherwise does not know. However, since we did not see the universe being framed, it is only by faith, that we are able to understand that God framed them by His word. And this is not just a matter of opinion, this is the understanding that the Church has had since the time of the Apostles up to the present day. The problem with the charismatic preachers that you mention is that they are attempting to impose on Scripture the non-Christian ideas of "New Thought" philosophy, which is connected to Christian Science, and has much more in common with Buddhism than it does with Christianity. These videos are by a Protestant, and he says many things that we would not agree with, but he lays out the errors of the Word of Faith movement, and their history, very well. You can also read about the origins of the Word of Faith movement in the book "A Different Gospel," by D. R. McConnell. See also: Stump the Priest: Faith that Moves Mountains? The Duck Dynasty controversy has exposed another problem in our society: Biblical illiteracy. Phil Robertson has been criticized expressing "bigoted" or "judgmental" opinions when in fact he was directly or indirectly quoting Scripture, and it is clear from his critics that they haven't a clue that that is what he was doing. This highlights yet another advantage of using the King James Version. At least when you quote Scripture from the KJV, people are clued in that it is a quote because it is in Elizabethan English. To Judge or not to Judge. A certain pro-communist transsexual blogger who from time to time feels the need to take shots at me has done so again. I usually ignore such nonsense, but a few things need to be pointed out in response to this latest post. For one, he shows a series of photos of Patriarch Kyrill with Socialist leaders, and then takes me to task for an article I wrote defending Patriarch Kyrill in particular, and the Russian Church in general. In a previous post by said transsexual blogger, I was accused of not having spoken out about the persecution of Christians in Syria... when in fact I have repeatedly, and did so in this same article. On the other hand, the pro-communist transsexual in question has refused to criticize Obama on his policies in Egypt and Syria, which have greatly contributed to the persecution of Christians in both of those countries. Furthermore, the transsexual pro-communist blogger criticizes me for not having had an Orthodox seminary education. A good Orthodox seminary education is a beneficial thing, to be sure, but there were no Christian seminaries anywhere in the world until the 16th century. Such institutions began as part of the Roman Catholic Counter-Reformation. The first seminary in the Russian Church was established in 1615. So during the golden age of the Fathers, there were no seminaries.Therefore, a seminary education can hardly be said to be indispensable. I converted to Orthodoxy largely as a result of the theological education I received as a Protestant. I was acquainted with the Fathers of the Church during my studies, and took it from there. Whether or not I was qualified to be ordained a priest was up to the bishop who ordained me, and whether or not I am qualified to continue to serve a parish is up to my current bishop. "Who are you to judge another’s servant? To his own master he stands or falls" (Romans 14:4). What the pro-communist transsexual does not do in his post is actually show how anything that I have actually said is incorrect. I am always open to correction, when it comes from people who know what they are talking about and have reason and evidence on their side. One of my areas of study as a Protestant was missions, and one of the things I learned was that Churches that insist on a seminary education for all their clergy have chronic clerical shortages. This use to not be true of the Roman Catholic Church, but their insistence on clerical celibacy removed the family concerns out of the equation. When you have married clergy, married clergy tend to settle down and not be inclined to move... particular to areas that are not likely to result in a financial improvement for their families. So for example, if you get a man Podunk Kentucky to move to New York City to attend seminary, the chances of getting him to go back to Podunk Kentucky to serve a small parish is pretty slim... and that's if you can get him to pull up stakes in Podunk and go to New York City in the first place. So what happens is that in areas near a seminary, you have an abundance of clergy... probably more than you actually need there. But in areas far removed from those seminaries, you have shortages, and getting clergy to serve in rural areas is nearly impossible. If you actually want to grow as a Church you need to have the ability to train clergy where they are. You also need seminaries, but you need something else to get clergy to serve parishes in places like Podunk Kentucky. Fortunately, we now have good distance learning capabilities, and in ROCOR, we have established a 2 year program through the Orthodox Pastoral School of the Diocese of Chicago and Mid-America. It is not a correspondence program, but an internet based school that has a regular school year, class discussions, and lectures. What is ironic is that this same pro-communist transsexual used to hold me up as an example of a good convert priest... until we had a private exchange by e-mail about welfare, and because I am not a socialist, I became an "evil" "konvertsy". The irony is, that while I have my opinions on welfare, I don't question the Orthodoxy of those who disagree with me on matters of public policy, when the Church does not have a clear teaching on the matter. And while the Church certainly does teach that we should help the poor, the Church does not teach that we have to lobby our government to raise taxes so that other people can be forced to give to government run programs for the poor... nor does it teach that we cannot do so. One other curious thing about this post is that this pro-communist transsexual takes a shot at Fr. Tikhon (Shevkunov), who is one of the most prominent figures in the Russian Orthodox Church today, and whose website posted the article I wrote that this pro-communist transsexual is taking issue with. She points out that he also does not have an Orthodox seminary education, and then says he is one of my defenders. I would be honored if that were true, but to my knowledge he has never said or written anything about me, one way or the other. I have briefly met him on two occasions, but I doubt that the great impression those meetings made on me was reciprocated. I am fairly confident that the vast majority of clergy in the Russian Orthodox Church in the past 80 years have not come away with a favorable impression of Communism, and there is certainly little evidence that supporting conservative Republicans was seen as being worse than a supporter of the KGB. There are martyred Russian clergy commemorated on almost every day of the year, who were killed by the Soviets, and some times the lists are lengthy... and the Russian Church is adding to the names of such clergy every year, as they research the facts of their martyrdoms. I am honored to have this opportunity to extend warm greetings to the Council of Bishops of the Russian Orthodox Church Abroad as you gather in Montreal. You deserve the highest commendation for your efforts in support of the return of religious and civil freedom to the Russian people. Your work furthers the interests of all members of the human family, because it is inspired by faith in the Creator and by the desire for liberty that burns in the hearts of every man, woman, and child on earth. The values you hold aid in the preservation of your own great heritage and in the strengthening of religious principles within each nation where your Church is located. In safeguarding the wondrous beauty and timeless grandeur of the ancient faith and culture of your motherland, you provide all mankind with the hope that this magnificent institution will one day be restored to its former place in the life of the Russian nation and people. You have my best wishes for your meeting and continued success in all your efforts. The bishops of the Russian Orthodox Church Abroad, who have come from every continent to assemble in council, were deeply touched by your words of greeting and ask you to accept the expression of their gratitude. 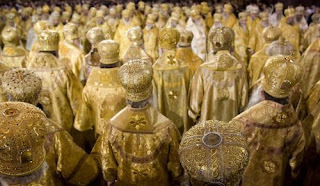 While we are honored by the attention you have shown us, we value still more your grasp of the situation of the Russian Orthodox Church and the Russian people who have suffered since 1917 under the yoke of atheistic communism. Millions and millions of martyred clergy and faithful from different social strata appeal to our Lord, but we rarely see such profound understanding on the part of government authorities as we have encountered from you. In thanking you with all our heart, we pray that the Lord will preserve you in good health and strengthen you in your endeavors which have such importance for the United States and the whole world. May the Lord confer His blessing upon you in that position in which He placed you in order to fulfill His divine will. From: Orthodox Life, No. 4, 1985, p. 32f. Stump the Priest: Why do we sing "Holy is the Lord our God" after the Canon at Matins? Question: Why does the priest or deacon say "Holy is the Lord our God" (and the accompanying verses) at the end of the 9th Ode at Matins? What is the significance of its placement at the end of the Canon at Saturday Vigil? To give a definitive answer to this question I would want to base it on some commentaries on the meaning of the Vigil. However, I have not seen any commentaries on the Vigil that have been translated into English that discuss the significance of singing this hymn at the point in the service that it is sung. 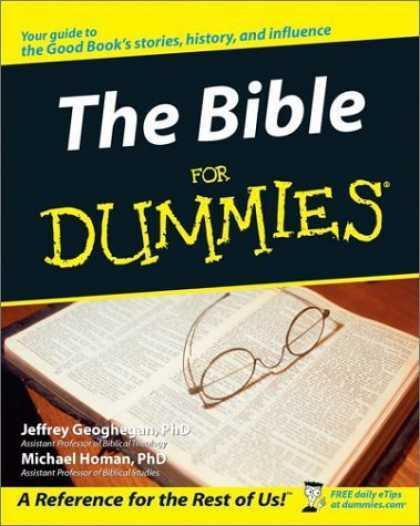 I would think that there probably are such commentaries in Greek or Russian. Perhaps someone who is familiar with them will fill me in on what they say in response to posting this question, and if they do, I will post an update. There may also be something that is in English which I have simply not read yet. What I will do is point out a few facts about this hymn, and then give you my thoughts on why it may be that it is sung when it is, but I could be off the mark on it, and so don't take it as a final answer. Deacon: Holy is the Lord our God. Deacon: For holy is the Lord our God. Deacon: Above all peoples is our God. "Holy is the Lord, our God" is only sung during Sunday Matins, with two exceptions: It is sung at the Matins of Lazarus Saturday, and it is also sung on Holy Saturday. So there is something about the significance of Sunday that calls for this to be sung, and so the obvious link would be with the Resurrection. And in fact, both Lazarus Saturday and Holy Saturday are services that anticipate the celebration of the Resurrection of Christ, and both services have a number of elements that are usually associated with the Sunday Services -- for example, on Lazarus Saturday, we sing "Having beheld the Resurrection," and on Holy Saturday we sing the Evlogitaria of the Resurrection. Another instance in which it is sung is at the Matins of Palm Sunday, when it is sung -- not prior to the Exapostilarion, as on Sundays -- but as the Exapostilarion. And while Palm Sunday is of course a Sunday, we do not sing any of the usual hymns of the resurrection on Palm Sunday. So what is an Exapostilarion? According to the Festal Menaion, an exapostilarion takes its name from the Greek exapostello, "dismiss"), and so it is a hymn that we are dismissed with at Matins. And so has some special significance and is given a place of prominence during that service. The fact that this hymn functions as an exapostilarion on Palm Sunday (and also on Holy Saturday) probably indicates that when it is used just before the exapostilarion on Lazarus Saturday, and on normal Sunday services, that it is sort of a exta-exapostilarion. I also think that the fact it is the exapostilarion of Palm Sunday indicates that it is not just pointing to the Resurrection, but also to Christ's death on the Cross. This is further indicated, in my opinion, by the Psalm from whence these verses are taken. Psalm 98 in the Septuagint (Psalm 99 in the KJV and most English versions of the Bible) focuses on the Ark of the Covenant, and the Mercy Seat, which I talk about in a sermon that you can listen to by clicking here. As I discuss in that sermon, this Psalm has verses that are used on the feast of the Exaltation of the Holy Cross, and so its use on that feast connect it with the Cross of Christ, and St. Gregory Palamas likewise associates the Ark of the Covenant and the Mercy Seat with the Cross, as is mentioned in that sermon. And so it seems to me that this hymn is sung to remind us of the awesome mystery of Christ's death and resurrection, and to emphasize the sacredness of that mystery which we celebrate especially as we enter into Passion week on Palm Sunday, when we anticipate the celebration of Pascha on Lazarus Saturday and Holy Saturday, and when we celebrate Pascha each Sunday throughout the rest of the year. Question: How do you pray for the Non-Orthodox? We do not pray for the Non-Orthodox by name, in the services of the Church, but we can and should pray for them. "Grant, O Lord, that thy servants will be illumined with the light of the Orthodox Faith, and numbered with Thy one, Holy, Catholic, and Apostolic Church..." and then commemorate their names. Some use a form of the Jesus Prayer to pray for others, which could include the Non-Orthodox: "O Lord, Jesus Christ, Son of God, have mercy on N."
"Then offer a brief prayer for the health and salvation of thy spiritual father, thy parents, relatives, those in authority, benefactors, and others known to thee, the ailing, or those passing through sorrows." When we do pray extemporaneously, however, we should pray in an Orthodox manner... which we learn how to do by praying the prayers of the Church. You can use this prayer, "Have mercy, O Lord, if it be possible on the souls of Thy departed servants (names), who have departed into eternal life in separation from Thy Holy Orthodox Church: unsearchable are Thy decrees. Do not account this, my prayer as a sin, but may Thy holy will be done." 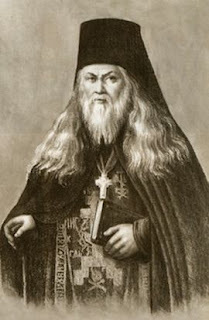 This prayer is from St. Leonid of Optina, and is based on a prayer he recommended to a disciple who was in despair over the suicide of his father: "Seek out, O Lord, the lost soul of my father, if possible, have mercy! Thy judgements are unfathomable. Do not account this prayer of mine as a sin. May Thy holy will be done." Another, more elaborate way to pray for the Non-Orthodox departed (which can be used, privately, for anyone who has departed) is The Akathist for the Repose of the Departed, which is found in The Book of Akathists," published by Holy Trinity Monastery. This is a beautiful akathists, which not only provides a means to pray for those for whom a Pannikhida cannot be done, but also brings great consolation to the one who prayers it. Question: What’s the “formal” way to begin and end a letter or email to a Priest or a Bishop? If you are being very formal, you would begin your letter by putting the date and the saint or feast of the day, usually justified to the right top of the beginning of the letter, but in an e-message, I think this is not necessary, though certainly not inappropriate either. As the article states, you would begin by asking for a blessing (for a bishop: "Master bless! ", or for a priest ("Father bless! ", or simply "Bless! "), and then begin with "Dear Vladika", or "Dear Father" or "Dear Fr. So and so". At the end of the letter, you could sign off with "Kissing your right hand, Joe Schmo," as the article suggests. You could also say, "Asking for your prayers, and kissing your right hand," or you could say "In Christ," etc. As an aside, the book by Fr. David Cownie is very useful. I would recommend it, but only caution that he is writing from the perspective of a Greek Old Calendarist, and so he sometimes states things as being more cut and dried or uniform than they really are. However, the book has some of the most practical information I have ever ran across. For example, he talks about how to maintain an oil lamp, and how to get fasting food on an airline. It is definitely worth reading. You can get a hard copy by clicking here. You can read it online (in pdf format) by clicking here. Terrorists, backed by the Obama administration have abducted 12 nuns from the historic convent of St. Thekla in Maaloula, Syria. Click here for more. You can also check the Levant report for updates. 2014 St. Innocent Calendars are now available for ordering. Click here for details. St. Innocent Press also sells wall calendars and pocket planners. All calendars are according to the Julian Calendar.